The work, on part of the Lahore Development Authority, for the development of several new housing societies in Lahore has already begun. During the last week of January 2012, a total of forty three commercial and residential plots were auctioned in Lahore. Held at the Lahore Development Authority's Community Centre in Muslim Town, the first auction brought in loads of buyers and investors. 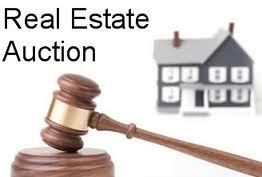 This single auction managed to sell some twenty four residential and eleven commercial plots. All of these plots are either located in newly developed areas or are an extension of Sabzazar and Johar Town. Sabzazar is already a housing scheme that is considered on the peripheries of the city of Lahore. The rapid expansion of Lahore goes to say a lot about the huge number of people which are pouring into the city every year and making it their hometown. Although these auctions were but the start of a series of auctions that were scheduled for 2012, the number of customers and investors they attracted speaks volumes about the demand of plots in decent localities. Together, both of these auctions generated a total of Rs 41.79 million which is a huge number in itself from plots which are located in the outskirts of Lahore. Johar Town took away the honour of receiving the highest bid for one of its commercial plots which stood at Rs 1.12 million per marla. For residential property however, Sabzarar remained the preferred locality where one of the plots sold for Rs 431,000 per marla. Some might be startled to see such high prices for such remote housing societies but the prices were approved by the evaluation committee of the State Bank of Pakistan. LDA has postponed any further auctions indefinitely for reasons unknown but you can regularly check its website to stay updated if and when the next auction is held.